These natural landscapes belong to the category of 'landscapes of outstanding value'. One should not be surprised to learn this, as the indented coast, holm oak, Alpine and Bruce pine forests and the special agricultural spaces amaze and capture by their beauty and level of preservation. This 'landscape of outstanding value' stretches from St. John's Cape (Rt Sv. Ivana) to Barbariga and encompasses all twenty or so Rovinj islands and islets and the coastal area up to the distance of 500 m from the coastline. The St Andrew Island (Otok Sv. 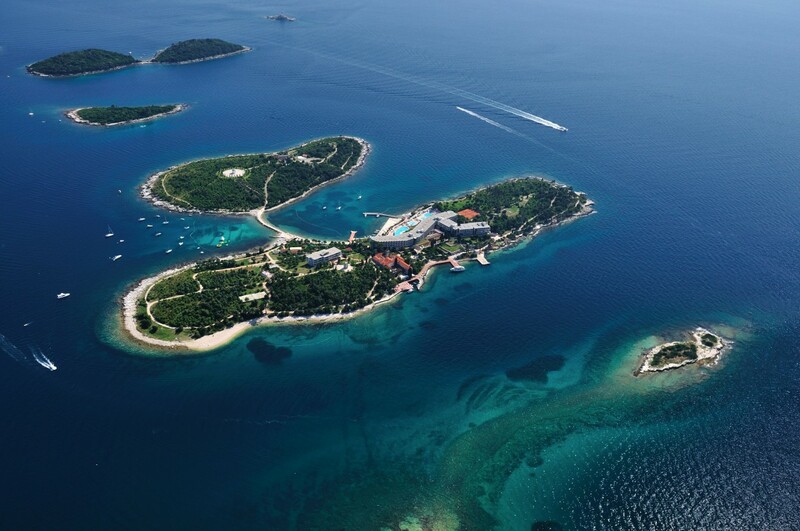 Andrija), occupying an area of 23 hectares, is the largest island of the Rovij archipelago, followed by the beautiful St. Catherine's Island (Otok Sv. Katarine), a true rarity in terms of vegetation. Botanists have recorded as many as 456 plant species there.